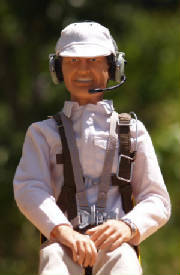 Each General Aviation pilot has a full length light weight body made specifically for RC planes. These are NOT sock bodied pilots with wires to bend and pose! 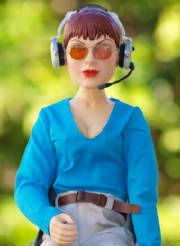 At only 5.5 oz clothed, they are the lightest articulating pilots available. 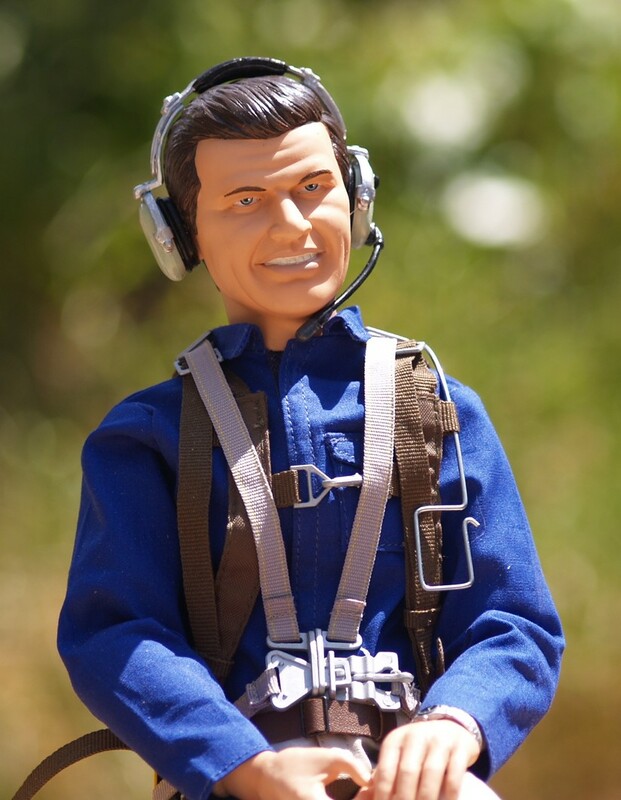 Each pilot body is made from 17 different moulds to enable lifelike poses in your aircraft. The shoulders are adjustable in width from 3-3/4” to 4-1/4”. The shoes and legs may be removed to fit in limited cockpits. The clothing has been sewn from actual cloth fabric. You may choose from 3 different color shirts: Red, White and Light Blue. All pilots have tan pants, brown belt and brown shoes. The white shirts and white cap may be dyed to your favorite color. White cap, Sunglasses, Headset, Parachute bag and harness, 4 point harness and seat belts and Watch (watches while supply lasts). Additional items may be purchased separately. Now offering a choice of head sculpts! 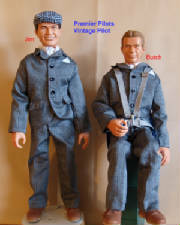 "Jim or Butch"
Now with a choice of head sculpts! 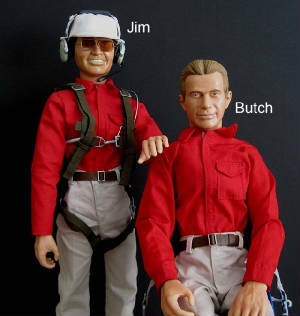 "Jim or Butch"
White cap, Sunglasses, Headset, Parachute bag and harness, 4 point harness and seat belts and watch. "Now available optional Red Jacket!" White cap, Sunglasses, Headset, 4 point harness and seat belts and watch. 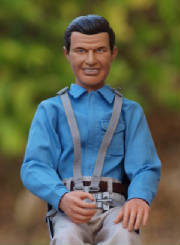 Now offering a choice of "Head sculpt: Jim or Butch" Butch shown at right specify when ordering. 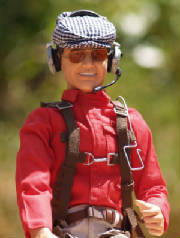 Each Vintage Pilot includes: Driving Hat, sunglasses, 4 point harness.